Jewellery Insurance Advice — Form Bespoke Jewellers Ltd.
At Form Bespoke Jewellers, we know the importance of proper jewellery insurance. Quite often people insure their jewellery within their Home & Contents Insurance as individual items. However, this can lead to an increase in premiums. 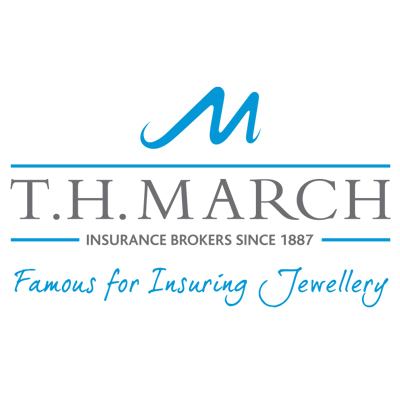 We would recommend that you have your jewellery insured through a specialised Jewellery Insurer. T.H. March are our recommended insurance brokers. Established in 1887, they are one of the leading UK firms that have a wealth of experience of working with the jewellery industry. They are recognised as reputable, expert insurers. Please call us on 0113 262 4064 to access our unique reference code for Form Bespoke Jewellers. This is used when you are making an insurance claim with T.H. March. Or, if you would like some more information about insuring your jewellery, simply contact us. We can talk you through the process. You can use your LMG Gemcheck Card or LMG Insurance Card here, as we are an authorised LMG (Gemcheck) Insurance Jeweller. We help our customers in repairing/replacing their damaged, lost or stolen jewellery. LMG customers will receive the best levels of quality and service when carrying out their insurance claim through Form Bespoke Jewellers. The LMG process is simple. We will provide you with a written quotation of the cost of repairing/replacing your jewellery for you to then send to LMG to validate your claim. Please call us on 0113 262 4064 if you need to make a claim. Or get in touch to talk through the process.